“IKSPIARI” is a commercial facility located 1 minute walk from Maihama station in Chiba prefecture and just outside Tokyo Disney Resort, famous as a sightseeing spot. “IKSPIARI” has various shops such as miscellaneous goods stores, restaurants, fashion goods shops, and entertains visitors with fantasy interiors. 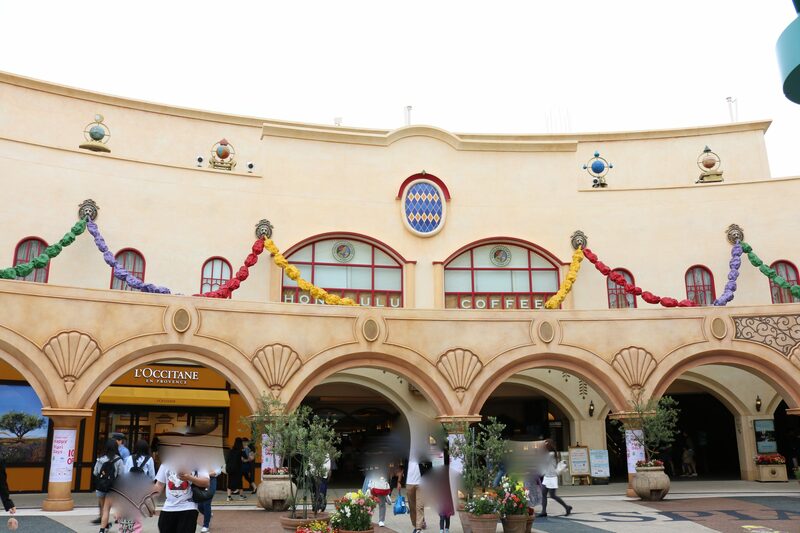 As well as visiting by shopping and going out, you can stop by while coming to Tokyo Disney Resort. “IKSPIARI” is a compound type commercial facility opened in front of Maihama station in Chiba prefecture in 2000. The cityscape and interior will change for each area Entertainment-rich in the hall, around 140 shops line up. Just outside IKSPIARI, there is a Disney Resort Line station as well as a gateway to Disney Resort. There is a fantasy world view which is inevitable even for Disneyland called a dream country, and the high convenience which a large number of facilities gathered is a big appeal. 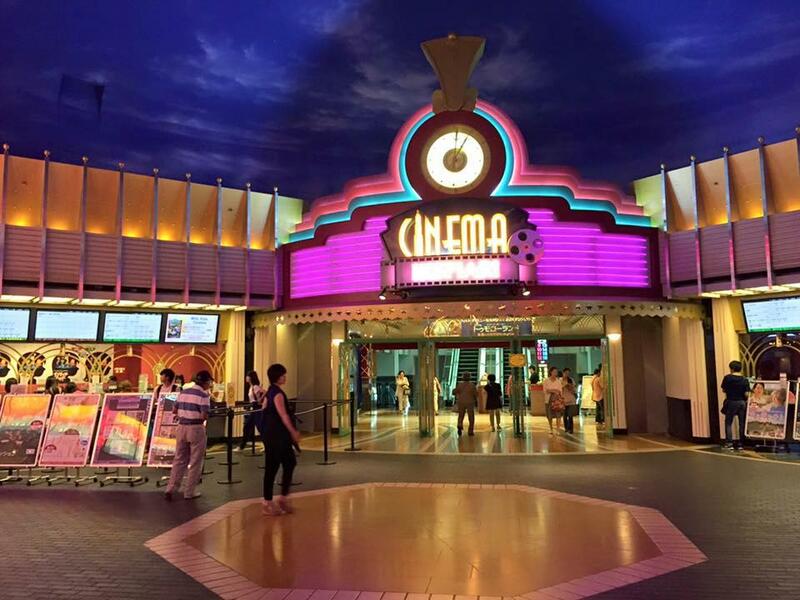 Let’s enjoy sightseeing at IKSPIARI where various facilities such as Disney shops and movie theaters gathered. One of the unique highlights of IKSPIARI is the cityscape that changes by area. Although it is a shopping mall, it is decorated with individuality and makes visitors feel unusual. The exotic fountain square and the streets where architecture based on white is standing can be exciting just walking. There is also an area full of exoticism and a metallic interior decoration that makes you feel the near future. It is a big characteristic that the appearance of the store is also one that fits the world view for each area. From stores for adults to Disney shops where children can enjoy, various stores are gathered. Among the inside of IKSPIARI, there is a feeling of opening in the garden area which is the colonnade in the 3rd to 4th floor. There are abundant spots that are perfect for beautifully arranged gardens and photography in the garden. On sunny days you can enjoy shopping under the blue sky, so let’s go to the upper floor of IKSPIARI. 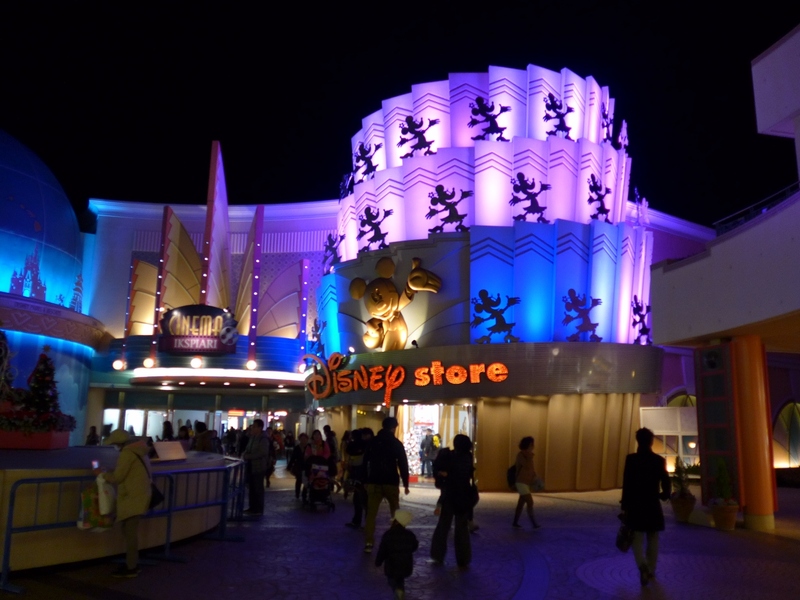 Among the stores of IKSPIARI there is also a Disney shop where you can purchase souvenirs of the adjacent Tokyo Disney Resort. The inside of the store is wide, compared to the souvenir shop in Disneyland or Disney Sea, and it is not crowded, so it’s a good spot to purchase souvenirs. 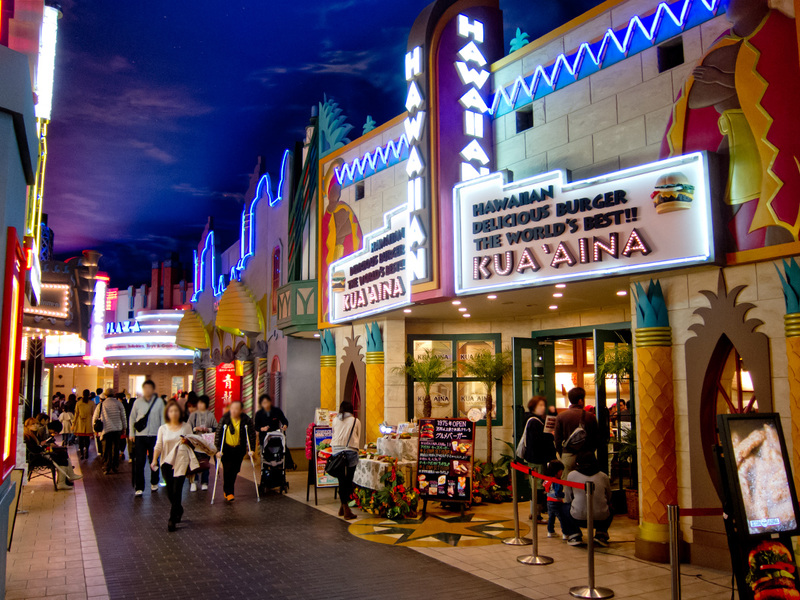 The shopping mall “IKSPIARI” in the Tokyo Disney resort is the exciting spot wherever you may walk along. “IKSPIARI” has variegated shops and restaurants, so just “IKSPIARI, you can enjoy yourself throughout the day. Recommendation is the miscellaneous-goods shops especially. There are many characteristic miscellaneous-goods shops. Among them, there are the shop which is holding the workshop. Since there is also a workshop which can participate with child, let’s investigate in advance by all means. Moreover, it’s Disney store that you should drop in by all means in IKSPIARI. Disney store in IKSPIARI is a little different from other Disney stores. 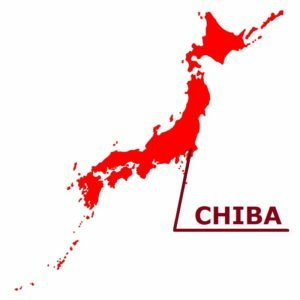 Its feature is the biggest size in Japan. Many “limited goods of IKSPIARI store” are sold inside of the shop which used Hollywood as the motif. There is the movie theater as “CINEMA IKSPIARI” in IKSPIARI. The circumference of the movie theater is structure like streets of Broadway. Moreover, the way to this movie theater is very pleasant. Since it passes along inside with various shops, you may want to stop along the way. The event may be performed on the stage which exists on the way. When you advance towards the inside more slightly from CINEMA IKSPIARI, there is the Rainforest Cafe on the right side. There are the animals which move like the real thing in the store. A meal is the restaurant which can be enjoyed in the store like a jungle. 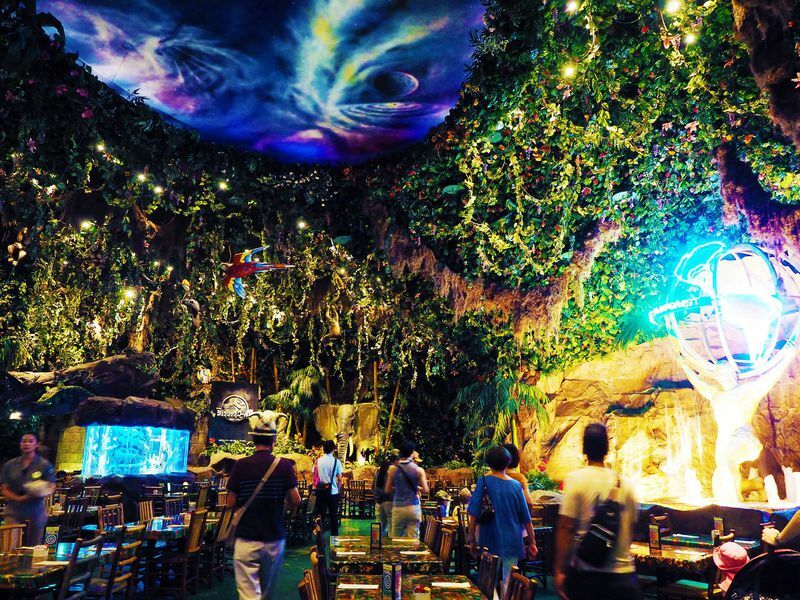 It is a restaurant which can enjoy a meal on the inside like a jungle. There are various menus, such as pizza, a pasta, and a dessert. Area is divided by nine themes and IKSPIARI is creating the atmosphere which is completely different in each. You can take a walk while enjoying the atmosphere of each 9 themes.